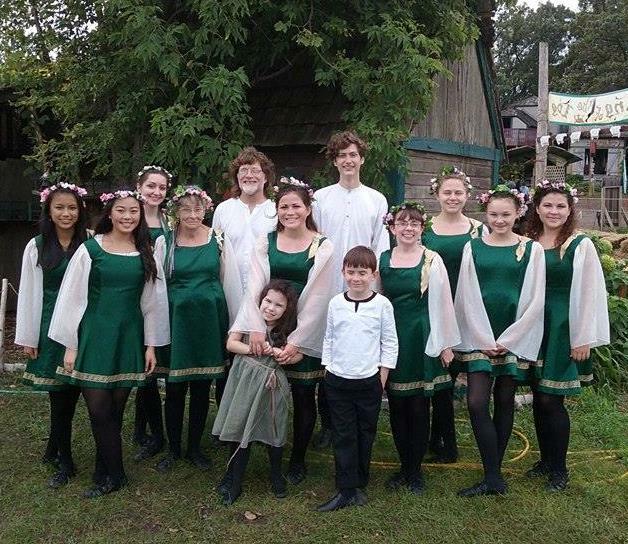 Green Fire is dedicated to the joy and love of Irish dancing. Following a centuries’ old tradition, Green Fire has its roots in the Twin Cities Irish community. Besides modern hard- and soft-shoe step dancing, Green Fire teaches and performs choreographies, traditional ceilidh, couple, and set dances, as well Sean Nos style dancing and historic dances in period costume. Elaine Murray and Ed Khoene established the group in 2002 with the aim of creating a place where adults, teens and children could all dance and perform together. Today, Green Fire's dancers range age 6 and up! Green Fire currently rehearses in Woodbury, MN.